As Capetonians, we have all been blessed with a truly wonderful Cape Town winter, which has contributed to our dam levels reaching a capacity of almost 70% on average. It was a mere 6 months ago that day zero was a reality that dominated most conversations. Recently the South African Minister of Police, Mr Bheki Cele made the statement that “South Africa has recorded an increase in the number of reported serious crimes including murder, attempted murder and sexual offences.” 10 out of the top 30 police stations with the highest murder rate in the country are contained in the Western Cape, with 57 murders being recorded throughout South Africa on a daily basis. Also included in the crime statistics released for 2018 thus far, is that 45 motor vehicles are hijacked throughout the country, every day. At the time of the release of these statistics, 2182 cases were reported in the Western Cape to date. Furthermore, the Police Minister also stated that there are 10 000 fewer members in the South African Police Services (SAPS) than the previous year, which is quite a dramatic loss of members in an already understaffed sector. With all that having been said, and on the back of the crime statistics being released, it has put more responsibility onto security service providers to step up their game in crime prevention. It is a well-known fact that crime itself does not simply disappear, but rather becomes displaced from area to area. CBAR works closely with SAPS, Law Enforcement and other security role players within its area of operation. Based on our own recorded statistics and those provided to us on a weekly basis during the joint sector meetings held at SAPS Cape Town / Woodstock, our resources are placed to cover areas that are being targeted by criminals. This is a fluid process, as criminals continually move between suburbs. We are aware that most house break-ins occur during the day when people are at work, but also between 1am and 5am, being prime time for stealthy criminals. Our Armed Reaction officers have reported an increase in movement of persons and motor vehicles during this normally quiet period. Our officers are making their presence felt by challenging “suspicious” persons moving around at this time, whilst conducting patrols. This is done within the confines of the law and persons moving between the many vehicles parked on the street at night are kept under noticeable surveillance until they move off. Suspicious vehicles with occupants are also continuously monitored and sometimes followed until they leave the area. Many response officers employed by CBAR have years of “on the road” experience and develop a sense of what constitutes suspicious activity. This intensified effort seems to be paying dividends with a number of arrests being made. It is also difficult to quantify how many criminal acts are thwarted by showing a strong presence in crime hotspots. Our crime reports from clients, who have experienced break-ins, show that some premises alarms were not armed during intrusions. Merely having a state of the art alarm system, but failing to arm it, especially at night, completely defeats the purpose of having it. Alarms should be tested regularly, at a minimum of once or twice a month and serviced annually by a certified alarm technician. Should you wish to test your alarm, please contact our Monitoring Centre, preferably between Monday and Friday 9am to 3pm, which are off peak times. Alarm systems consist of electronic components which may at any time develop a fault, hence regular testing is imperative. Please note, should you have upgrades or additions done to your alarm system by private technicians or installers other than CBAR technical staff, then kindly ask them to inform ourselves of any new zones or partitions added in writing to customerservice@cbar.co.za. If an alarm system is partitioned or more detection equipment added, our system will not be updated to reflect this in an alarm activation, unless notified in writing. Private technicians or installers should also notify our Monitoring Centre prior to the testing or working on an alarm to avoid unnecessary response dispatches. Armed Reaction officers are also noticing that sliding gates and garage doors are standing wide open during the day and night. When leaving premises, the remotes are pushed to close gates and doors, with the assumption that they will close. In some instances the gates or garage door fails to close and are left standing wide open in your haste to depart. Important Note: Criminals are placing a magnet on the sliding gate rail close to the magnetic reader, confusing the gate sensor, which is there to stop the gate in the closed position. During the night too, criminals place a piece of tape or plastic strategically covering the movement sensor found on the gate post which prevents the gate closing on the vehicle as it passes through. In the morning, once the gate is opened remotely, the covered sensor will prevent the gate from closing, resulting in the gate being unable to close. When exiting your premises, take the time to watch your sliding gate close completely before driving off. Before retiring at night, try to get into the routine of physically checking that the sliding gates, pedestrian gates and garage doors are fully closed. Please do not be annoyed by our officers if they ring your door bell in the middle of the night to bring to your attention that a garage or gate has been found ajar. There are a number of senior citizens who are clients of CBAR. Some of these clients have family in the Cape Town area and some do not. Should you wish, for any reason, at any time for an Armed Reaction officer to visit an elderly parent that you are unable to make telephonic contact with and have become concerned about, please do not hesitate to contact our Monitoring Centre on 0860 151515 to have a house check carried out on your behalf. There are elderly clients who live alone, some of whom have gotten to know our staff well over a period of time. Some too are hesitant to call for assistance if they have had a fall or feel unwell. Please be advised that CBAR and its staff are there to assist 24 hours a day with regard to security and medical situations. With summer approaching and those days of endless South Easterly winds fast approaching, kindly ensure that all outside foliage that could cause outdoor sensors and beams to activate, be trimmed well back. Continuous false alarms as a result of this, slow down responses to real emergencies, as well as having a cost to company implication. The majority of false alarms, besides those as a result of user error, are generated from outdoor detection devises being triggered by excess foliage. 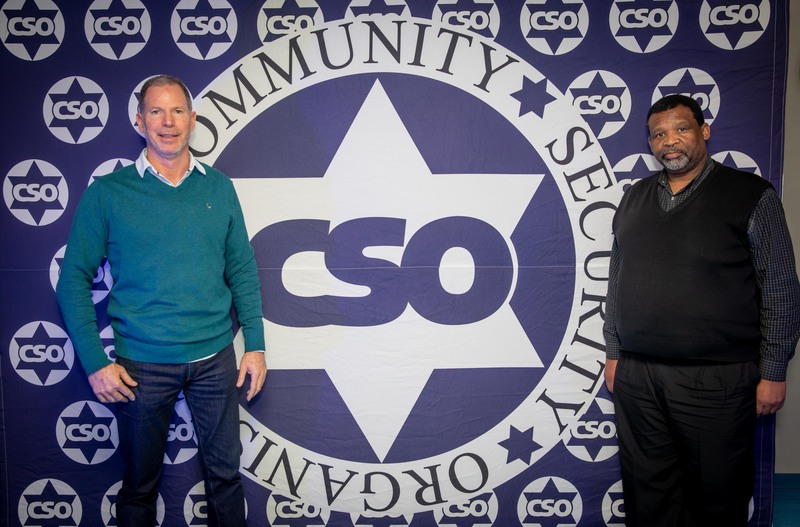 CBAR recently attended an appreciation luncheon hosted by the CSO (community security organisation). The “Hero’s Lunch” was held for the various safety and security partners within the Cape Town / Atlantic Sea Board areas and is an annual event that is hosted by the CSO. CBAR would again wish to thank you for continuing to entrust us with your security needs.